Keetch-Byram Drought Index (KBDI) is an index used to determining forest fire potential. 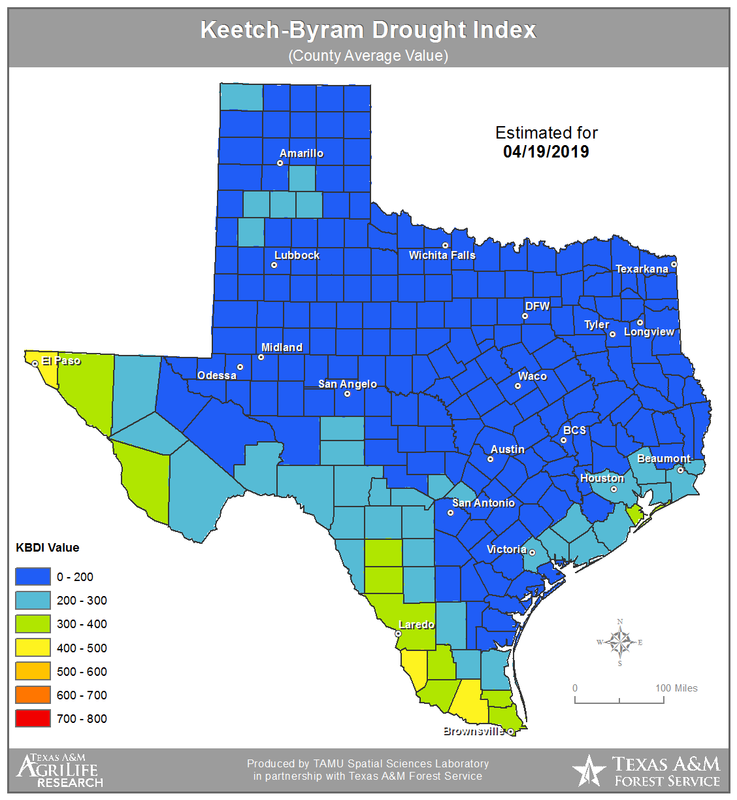 The drought index is based on a daily water balance, where a drought factor is balanced with precipitation and soil moisture (assumed to have a maximum storage capacity of 8-inches) and is expressed in hundredths of an inch of soil moisture depletion. 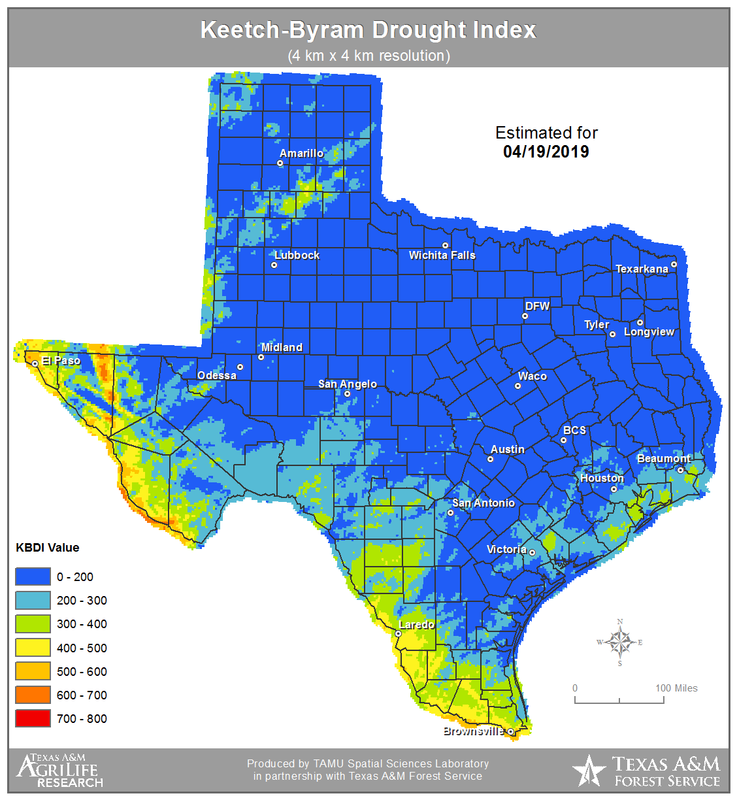 The drought index ranges from 0 to 800, where a drought index of 0 represents no moisture depletion, and an index of 800 represents absolutely dry conditions. Presently, this index is derived from ground based estimates of temperature and precipitation derived from weather stations and interpolated manually by experts at the Texas Forest Service (TFS) for counties across the state. Researchers at Texas A&M University are working with the TFS to derive this index from AVHRR satellite data and NEXRAD radar rainfall within a GIS. Launch the KBDI interactive map to zoom in and identify the mean, maximum, and minimum KBDI for your county.